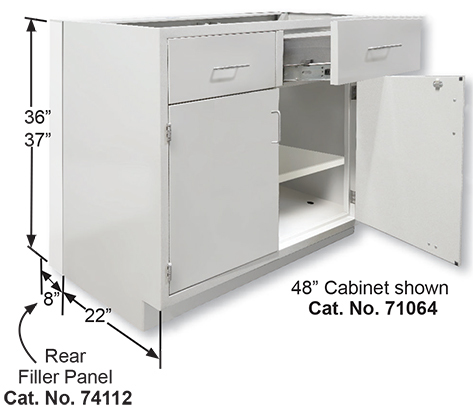 UniLine Casework & Cabinets are constructed of welded 18 gauge steel. 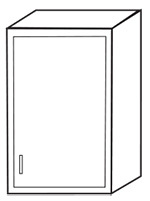 Base cabinets have a load capacity of 500 pounds per linear foot. Powder coat finish is environment friendly, attractive and long lasting, color: White, unless otherwise specified. UniLine casework, quality & style for your laboratory. 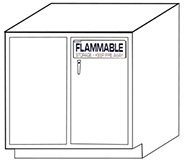 Casework is tested independently to be SEFA 8 compliant. assemblies. Interior is powder coated steel, stainless steel interior is optional. Doors Two-piece double wall construction painted before assembly. Insulated door filler for added rigidity and quiet operation. Rubber door bumpers. Powder coated finish. Cabinet Interior Minimal holes in front post for aesthetically pleasing appearance. Hem and flatten door. Adjustable shelves heavy duty stop for secure closure. 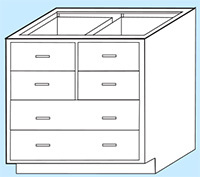 Full length & width adjustable shelf for maximum storage. Unique triangular support rails for added strength. Heavy duty plated steel shelf clips. Powder coated finish. 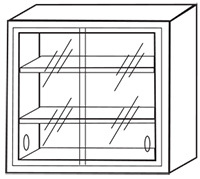 Cabinet interior bottom with a radius flange for increased strength and ease of cleaning. Recessed Toe Space 4 inches high 3-1/2 inches deep, promotes laboratory cleanliness. Cabinet base lower corner reinforcing gusset with 0 to 2-1/2” adjusting levelers on (all four corners). 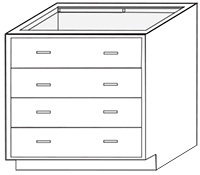 Cabinet height adjustable from 35” to 37-1/2”. 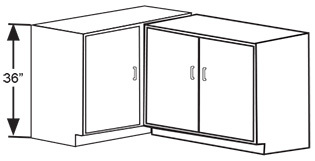 Unitized design incorporates our most popular casework groupings to meet your laboratory needs. Welded steel with chemical resistant, epoxy powder coat finish, and 1” thick phenolic resin countertops, 4” high backsplashes, and flush ends standard. 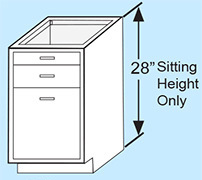 ADA height 34” Max, and sitting height 28”, options are available. 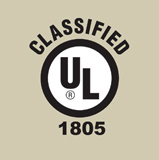 Standard color: White, unless otherwise specified. UniLine Atlantis Grouping provides basic lab storage & a versatile work area. 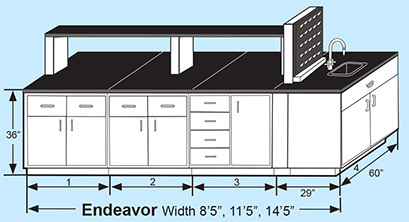 Cabinet grouping includes 3 standing height cabinets with rear filler panels on both ends, phenolic resin worksurface 36" high, with 4" high back splash. Includes 16" X 12" X 8" sink and H/C gooseneck faucet. UniLine Enterprise Grouping provides a convenient balance of storage and work space. 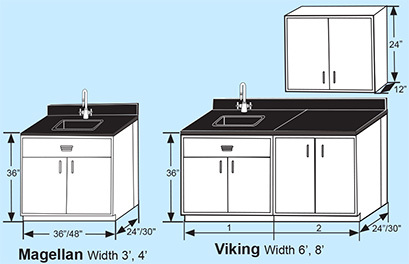 Cabinet grouping includes 3 standing height cabinets with rear filler panels, 2 wall cabinets, phenolic resin worksurface 36" high, with 4" high back splash. Includes 16" X 12" X 8" sink and H/C gooseneck faucet. UniLine Endeavour Grouping is a flexible design that can serve as an island or peninsula layout. 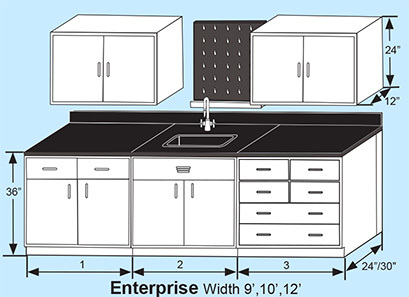 Cabinet grouping includes either 3 or 7 standing height cabinets with front and end filler panels, phenolic resin worksurface, and center island reagent shelf with pedestals and phenolic resin shelf. Includes 16" X 12" X 8" sink, pegboard and H/C gooseneck faucet. 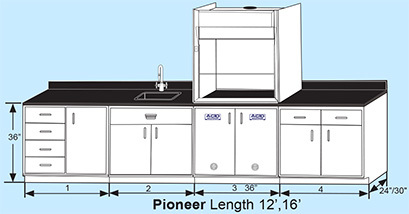 UniLine Pioneer Grouping combines typical lab storage and a fume hood. 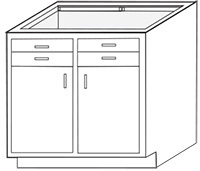 Cabinet grouping includes (4) 36” high cabinets, phenolic resin worksurface, with 4” high back splash. Includes 16” X 12” X 8” sink and H/C gooseneck faucet. UniFlow CE included on 24” deep models in widths of 36” & 48”. 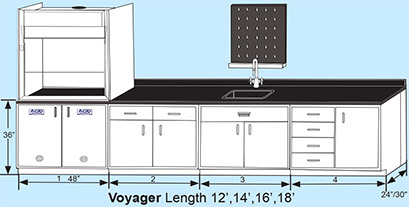 UniLine Voyager Grouping combines typical lab storage and a fume hood. 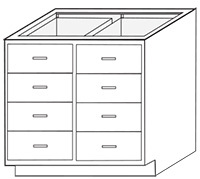 Cabinet grouping includes (4) 36” high cabinets with rear filler panels on both ends, phenolic resin worksurface, with 4” high back splash. 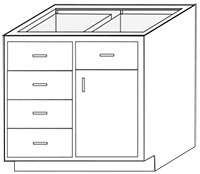 Includes 16” X 12” X 8” sink, H/C gooseneck faucet and pegboard. 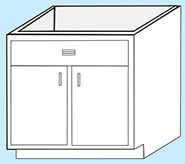 UniFlow LE Fume Hood included on 30” deep models in widths of 36” & 48”. 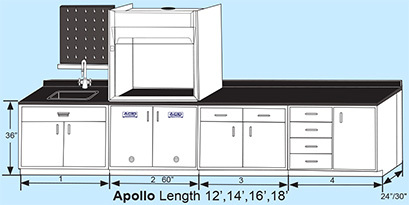 UniLine Apollo Grouping combines typical lab storage and a fume hood. 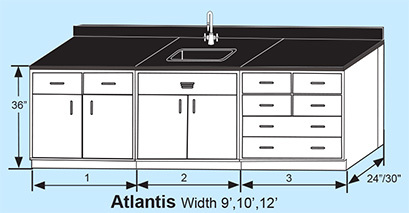 Cabinet grouping includes (4) 36” high cabinets with rear filler panels on both ends, phenolic resin worksurface, with 4” high back splash. 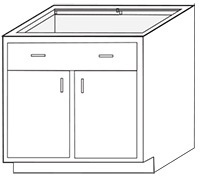 Includes 16” X 12” X 8” sink, H/C gooseneck faucet and pegboard. 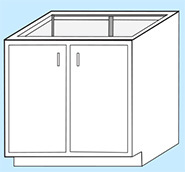 UniFlow SE AireStream Fume Hood included on 30” deep models in widths of 48” & 72”. 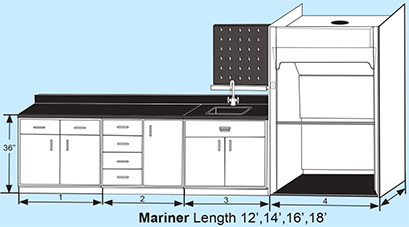 UniLine Mariner Grouping accommodates larger procedures in the FM floor mount fume hood combined with convenient cabinet storage. Grouping includes (3) cabinets 36” high, phenolic resin worksurface with 4” high backsplash, 16” X 12” X 8” sink, H/C gooseneck faucet and pegboard. UniFlow FM included 72” wide. 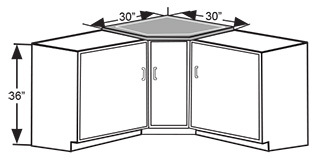 Viking Grouping is ideal for medical examination rooms and small lab requirements. 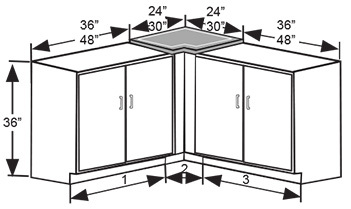 Cabinet grouping includes 1 or 2 standing height cabinets, 1 wall cabinet 36" or 48" wide, 24" high 12" deep, phenolic resin worksurface. Includes 16” X 12” X 8” sink and H/C gooseneck faucet. UniLine Gemini grouping features a sitting height desk area that can be incorporated with any of the HEMCO groupings. 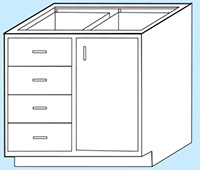 Cabinet grouping includes 1 sitting height file drawer cabinet with rear filler panels, single drawer apron, and phenolic resin worksurface. Sitting height 28”. When ADA requirements are necessary, the UniLine Freedom Grouping option allows you specify any HEMCO Casework Grouping and be compliant to all dimension, space, and access standards as specified by ADA. In addition, all electrical services, plumbing accessories and safety equipment including emergency showers and eye wash stations are designed to meet ADA guidelines. Counter Top Height is 34”. 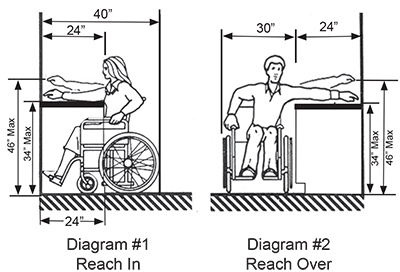 For ADA Recommended Reach see Diagram 1 and 2. Simply add “ADA” as a suffix to any HEMCO part number and HEMCO can design, quote, and supply ADA compliant equipment. Proper planning eliminates/reduces future problems. 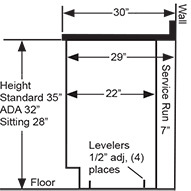 For a complete guide for all ADA technical information, including dimensions and standards, please visit: www.access-board.gov/adaag. 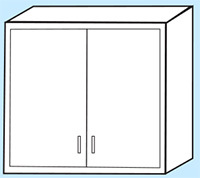 Storage cabinet with 5 adjustable shelves. 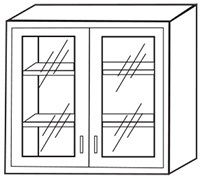 Storage cabinet has glazed 1/4” glass doors and 5 adjustable shelves. rear of knee space areas. 35” high x 22” or 28” deep. 35” high x 22” or 28” deep. 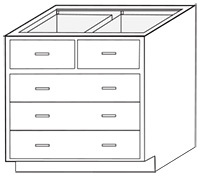 Used to support countertops at the end or middle of a knee space area. Please specify depth. 24” wide x 6” deep x 84” high. Located on an island behind a sink. Used to conceal piping and to serve as mounting for pegboard. 2” high x 30”, 36” or 48” wide. Used to support counter tops above knee space areas. Please specify width. 35” high x 7” wide. Used to enclose pipe chase behind cabinets on standard 30” deep counters. 35” high x 4”, 10”, or 14” wide. Used to enclose the pipe chase at the end of an island. Please specify width. 35” high x 2”, 6”, or 12” wide. 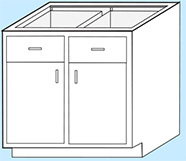 Used to enclose the space between cabinets to meet casework length requirement. Please specify width. 35” high x 2”, 6”, or 12” wide. Used to fill the space between the end of casework and a wall. Please specify width.